Humour me for a minute. Every so often, a piece of work like this comes along (it’s not just an album it’s a project, maybe even a concept) where every aspect and detail is absolutely perfect. The humouring bit concerns my particular slant on the project. MusicRiot’s gig team, The Riot Squad, are big fans of Dean Owens, the UK representative on the project, so forgive me if I spend a bit of time on Dean’s contribution. It’s fair to say that Dean’s solo material has a strong sense of location; he writes about the area and the people he knows, just like Ian Rankin and Irvine Welsh in their novels and short stories. It’s also fair to say that he’s always been willing to push the boundaries in his collaborations, spreading out into traditional Scottish folk ballads as Redwood Mountain with Amy Geddes, rockier material with his occasional band Deer Lake and his consistently excellent work with Will Kimbrough (more about that later). Buffalo Blood is something else indeed. Dean teamed up with his Nashville friends and collaborators Neilson Hubbard, Audrey Spillman and Joshua Britt, along with sound engineer and photographer Jim DeMain to spend two weeks deep in the New Mexico desert feeling the forces of previous lives played out there while writing and recording fifteen songs that tap into the echoes of centuries of betrayal, exploitation and alienation of the Native American peoples. And it’s not just the songs; there’s video and photography as well. The incredibly ambitious aim of the project is to immerse the listener in five hundred years of Native American experience. What’s truly incredible is that they actually succeeded. 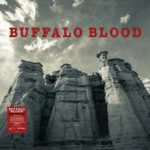 “Buffalo Blood” is an album that will entrance you, engage you and enrage you; maybe it will even make you take a serious look at the history of the indigenous peoples of the American continent. That’s what can happen when creative artists follow their instincts and beliefs and just create; I can’t imagine any of the major music providers bankrolling this project, but I believe “Buffalo Blood” has a real shot at commercial success; it’s that powerful. The songs were recorded live outdoors in the desert, the wind and animal noises contributing to the feeling of immersion in an environment that retains echoes of centuries of struggle. The quality of the songwriting is consistently high across the album as Celtic, European and Native American influences combine to create a perfect musical backdrop for a message that is still relevant (Standing Rock ring any bells?). The album has a narrative flow; it moves from the original contact with European settlers through time to the closing lament “Vanishing World”, which is perfectly suited to Dean Owens’ plaintive voice. This album is a classic, carrying a very potent message through the medium of haunting melodies and flawless performances; get it on your wishlist. Breaking news – Dean Owens won UK Song of the Year at the UK Americana Awards 2019 for the title track from his 2018 “Southern Wind” collaboration with Will Kimbrough. And that’s not the only good news from the Buffalo Blood camp; Neilson Hubbard produced “Southern Wind” and also Ben Glover’s “Shorebound” (UK Album of the Year winner) and “Rifles and Rosary Beads” for Mary Gauthier, who won International Artist of the Year and is up for a Grammy this year. Not a bad haul, and that’s before “Buffalo Blood” is released. It’s always been a bit of a mystery to me why Dean Owens hasn’t been more widely recognised as an outstanding British singer-songwriter. Despite a career with his band The Felsons and several solo albums which provided a couple of classic additions to the Scottish songbook (“Raining in Glasgow” and “Man from Leith”), before the release of his new album “Into the Sea”, Dean still wasn’t widely known, even in Scotland. It looks like this is the album to change that. In the run-up to the album’s release Dean has had well-deserved coverage across the media in Scotland and, to a lesser extent, in England. Maybe there’s a bit of truth in the cliché about suffering for your art; 2014 was a difficult year for Dean for a variety of reasons but he’s used his work to weave the pain, the joy and the memories into an album packed with songs of love and loss; the stories of the people lost forever and the ones who are lost but still with us. “Into the Sea” is the work of a songwriter with experience of real life looking backwards to help make sense of the present, creating a lasting work of art as a result. Some of the album’s reminiscences are triggered by objects, while others are triggered by events. The opening track, “Dora” is rooted in a family tree and a circus poster and tells the story of Dean’s grandmother and her circus background; “Closer to Home” was inspired by a letter written by a soldier on the way home from The Great War and “Kids (1979)”, a poignant story of diverging paths, is kicked off by an old photo of a school football team, while “Evergreen” starts from a holiday photo. All four songs are mixtures of happiness and sadness, reflecting the lives that most of us live. The majority of the album’s songs are inspired by situations; “The Only One” (with Will Kimbrough’s vocal harmonies creating a nice Everly Brothers feel) and “Days Without You” both relate to the terminal illness of a friend’s partner, while “Sally’s Song (I Dreamed of Michael Marra)” combines teenage memories with a tribute to one of Scotland’s greatest songwriters. “Virginia Street” is the story of a friend’s nostalgia for happier days while “Valentine’s Day in New York” is an autobiographical piece dealing with the loneliness of spending time away from loved ones. “It Could be Worse” was the album’s problem child, coming together at the last possible moment with a bit of help from Will Kimbrough and also features as an instrumental reprise. The album’s final song (or special bonus track) is a duet with Suzy Bogguss on “I’m Pretending I Don’t Love You Anymore” featuring a bit of whistling from Dean and a nice Roy Orbison “Blue Bayou” feel. 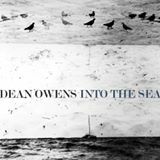 It’s easy to underestimate the quality of an artist’s work when you see and hear a lot of them (and the Riot Squad have seen and heard a lot of Dean Owens over the last few years) so “Into the Sea”, as the first album of original material since 2012’s “New York Hummingbird” was an opportunity to take a step back and refresh the perspective. The songs tap into a rich seam of melancholy memories which work perfectly for Dean’s voice; the lyrics tug at the heartstrings while the band (Will Kimbrough, Evan Hutchings, Neilson Hubbard, Jen Gunderman, Michael Renne, David Henry, Eamon McLoughlin, Joshua Britt, Suzy Bogguss, Kim Richey and Heather Donegan) provide varied and sympathetic settings throughout. This album, for me, is the most complete and rounded piece of work that Dean Owens has produced and should be a part of any music-lover’s collection. If you can’t get along to any of these gigs and still want to support Dean, why not have a look at the Kickstarter campaign for the video for his next single “Up on the Hill”? There are loads of ways to contribute and lots of goodies available. “Into the Sea” is out now on Drumfire Records.